UPDATE: Another tragedy out of Connecticut. It appears that the father of a six-year-old girl who was killed in the Sandy Hook Elementary School shooting in December 2012, has committed suicide. Jeremy Richman, 49 — the father of Avielle Richman, who was killed in the Sandy Hook Elementary School shooting in 2012 — was found dead on Monday morning in his office building, according to a statement from Newtown, CT Police. The cause of death appears to be suicide. Tragedy has struck Parkland three times now. Last February, a gunman entered the school grounds at Marjory Stoneman Douglas High School and murdered 17 people. Last week, one of the student survivors, whose best friend was killed in the shooting, was racked with survivors' guilt and took her own life. A week after that, and another student has died in an apparent suicide. The young man, a sophomore at MSD, reportedly ended his life on Saturday night. The Parkland community is again in mourning, but local leaders have recognized they need to do something urgent to get a handle on mental health. The school district has introduced a set of questions they are urging all parents to ask their children. The “Columbia Protocol,” as they're calling it, is a set of six questions that includes very direct inquiries such as, "Have you actually had any thoughts about killing yourself?" Based on their kids' answers, parents will be given several emergency resource options, the Miami Herald explains. Some members of the Parkland community, including familiar names like David Hogg, are dissatisfied with the Broward County school district and are urging officials to finally act. The district has recognized students and parents' frustration with the current school leadership and last year reassigned MSD’s three assistant principals and a security specialist. Some other MSD staff members, however, questioned that decision and how it would affect "the well-being of students and staff." If the community decides they need the extra help, Gov. 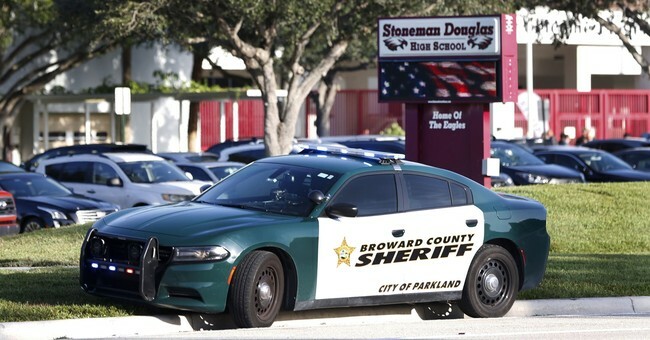 Ron DeSantis could send Parkland state emergency resources. Whatever it takes to prevent yet another tragedy. Our country is facing the greatest mental health crisis we’ve ever seen. I have no idea what to do, and I’m so sorry, but we need to fix this right now. Take care of the people around you. Be somebody’s rock. We can make this better. Editor's note: This post has been updated with additional information.